I was invited to Vienna by ‘ORF‘ Austria’s national public service channel. I was to be a guest on a TV show discussing the current challenges facing public service broadcasting. My Austrian friend Dan picked me up from Gratz and we drove into Vienna a day earlier. Dan had read my 40at40 list and figured he could at least help knock one item off the list. He had wanted to take me on Europe’s longest toboggan run but it was off season and snow was certainly lacking. He did know where I could get a Yodeling lesson though. So with a day free before my TV appearance we had time (and music) to kill. In the heart of Vienna we found our way to a pop up Styrian festival. There was drinking and eating and drinking and dancing and singing and more drinking. Many people were in traditional dress and the atmosphere was fantastic. 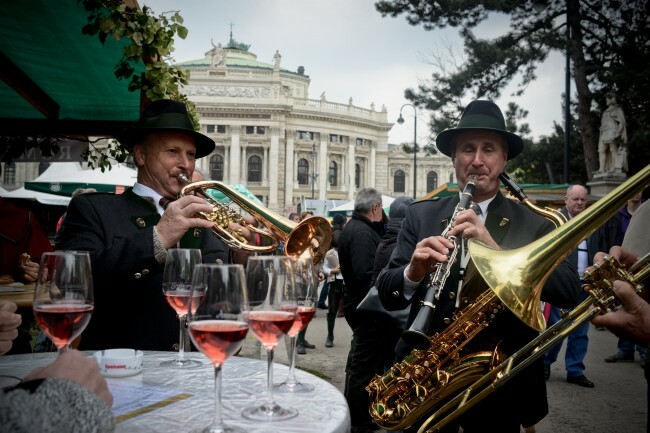 We ate a few Styrian dishes and drank a couple of traditional wines as Oompah bands played and belly laughs filled the air. Although untrained, 13 years ago I used to have a go at Yodeling to bring the cows into view for counting when I worked as a ‘Pastore’ or cow herd in the Swiss alps. As far as I knew, this kind of use was rooted in it’s origins. Perhaps it tied in perfectly with my reasons for being in Austria and it was is seems an early form of public service broadcast. There is certainly a geeky element to it as well. 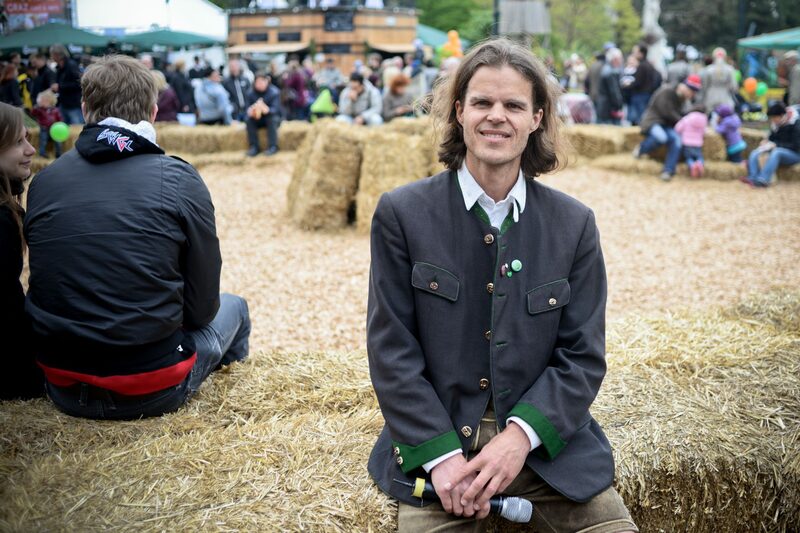 While chatting with the Austrian Yodeling teacher Herbert, he told me that the undulating sound produced by is repeatedly changing pitch can be likened to binary nougats and ones. It was wonderful gaining a little insight and getting some tips and tricks from a guy who really knew his vocal undulations from a casual falsetto. And the public yodeling class was also lots of fun even if a slightly inebriated lady decided to jump on a bale and lead the crowd. Much respect and appreciation of your yodelling experience!